Daniel Pratt was the founder of the City of Prattville. He purchased the land that is now Prattville, from Joseph May on December 18, 1838. 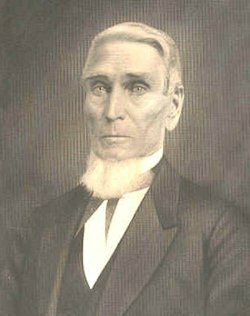 He was not only Alabama's first industrialist and a member of the Alabama Hall of Fame; Daniel Pratt was also a Master Mason. The lodge's records do not show where or when Daniel Pratt was first initiated into the Mysteries of Masonry, but they do show that he was involved in the formation of Prattville Lodge No. 89. Daniel Pratt was the first elected Treasurer of Prattville Lodge No. 89 when the very first election was held on December 11, 1848 after the lodge received its charter from The Most Worshipful Grand Lodge of Free and Accepted Masons of Alabama on that date. He was installed as the Treasurer of the lodge on December 25, 1848. Daniel Pratt's name first appears, as a member, in the records of the lodge in the regular communication dated April 4, 1848. He is then listed as Treasurer on the regular communication dates of April 24 and May 8 of 1848. Daniel Pratt shows up again as a member on the regular communication dated June 12, 1848. In the regular communication dated July 10, 1848, Daniel Pratt is again listed as the Treasurer. In the regular communication of August 28, 1848 he is once again listed as a member. Daniel Pratt was listed as Treasurer at the regular communication on November 13, 1848, when the vote was cast to elect a representative to go to the Grand Lodge and request a charter. On the regular communication of January 22, 1849, a receipt from Pratt's Company (Prattville Cotton Mills & Banking Company) was submitted in the amount of $50 dollars, which Pratt paid himself, to rent the Masonic Hall for which he was credited for by the lodge. It is very clear, by the facts listed above, that Daniel Pratt was one of the founding brothers of the Lodge and played a major role in helping to establish the lodge. You can read more about Brother Pratt on his Wikipedia Page by clicking HERE.